Talk about some awesome scones! Who new dairy free could taste so good??? 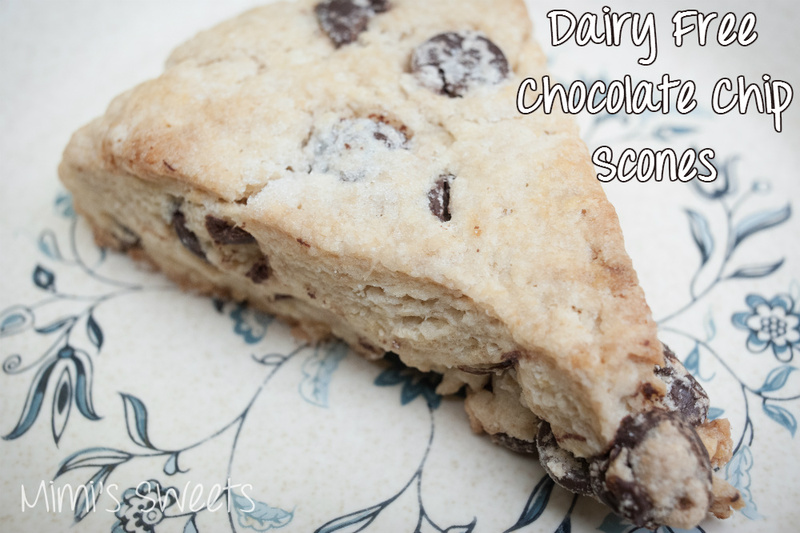 These scones were so yummy that if no one told you, you would have no idea that they were dairy free! I was in Seattle visiting family for a week, and these chocolate chip scones were the second treat I tackled in the dairy free variety (the other being a Raspberry Pi). And oh, how wonderful they were! I originally made a double batch for a Sunday brunch. We didn't realize how awesome they were going to be, so I ended up having to make another batch after we annihilated the original one. My niece and nephew (ages 4 and 2, respectively) even tore through one each, with my niece asking if she could have another! These scones were moist and flaky. Slightly more dense than regular scones, since they had no dairy in them... But it had zero effect on the taste. I was a little worried in trying to make them dairy free that I was going to end up excluding one of the family members, because of our wide range of allergies and dietary needs (tree nuts for me, soy for my husband, dairy for my sister-in-law). My sister-in-law was gracious enough to offer to opt out of having scones during brunch if my attempt happened to flop and I needed to make a regular batch. I'm so glad that there was no need to resort to that! We all got to enjoy amazing scones without having to worry about potentially killing someone. Woohoo! Like I said in my last post, I was a total space cadet and forgot my camera at home. So, my awesome brother-in-law took them for me (can you tell he's a photographer?). He takes great photos, and you should totally check out his website: joshuamahar.com. You'll definitely enjoy what you see! If you're into dairy free (or need it), check out my last post as well as my post on No Sugar Added Banana Muffins and Tops (they're dairy free as well). 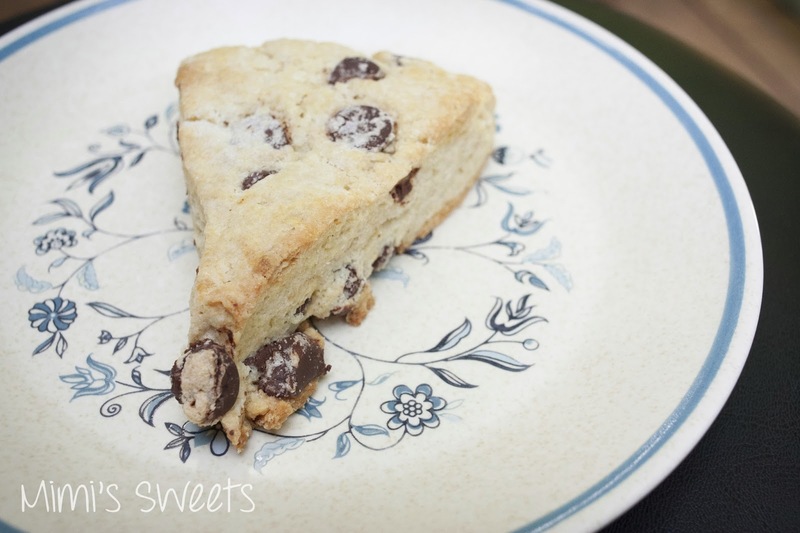 Or, if you're into scones, hop on over to my post on Red Velvet Scones. There are lots of pictures and posts to enjoy.